Infographic: What Color is Your Pee? Staying hydrated is important all year round, but when temps start to soar and you sweat, you may need to drink even more water than usual. 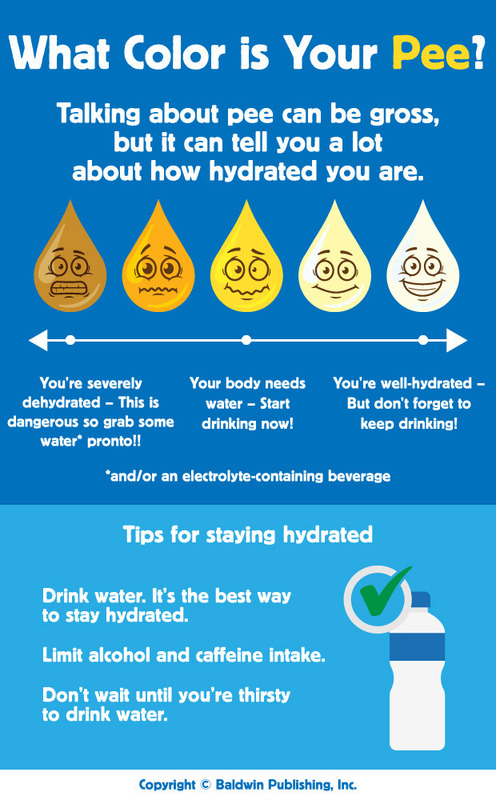 Here’s how to gauge if you may be dehydrated and need to up your intake of water or electrolyte-containing beverages. Hi Nan, thanks for your comment. I will follow up with you via email. Thanks for reading, and for sharing your comment!